Blue Reflection is the latest offering from Gust, the developer who previously brought us the Atelier series. A brand new IP, Blue Reflection focuses on the story of Hinako, a former child ballet star who starts a new high school. She discovers that she's a Reflector, the game’s version of a magical girl, along with her new friends, Yuzu and Lime. As the story unfolds we learn of a parallel world, The Common, where monsters feed off emotions. Hinako and her friends must use the power of friendship to defeat the evil Sephirot and save the world. Things start off promisingly. The beginning sweeps you up in the excitement of playing in a new world and it’s easy to get caught up in it all. Blue Reflection is a very aesthetically pleasing game. It has a soft colour palette which is easy on the eyes, characters that are well designed, and worlds that are colourful and look interesting. It's a shame there isn't more of the world to explore; game time is split between Hinako’s school and The Common. Ending a school day will take you to Hinako’s house, where you have the choice of how to prepare for the next day. Unfortunately, this part of the game presents a big problem. You’re given a variety of choices for how to prepare: bathing, stretching, making lunch plans, and relaxing, to name a few. What you’re not told is what effect the actions will have on the next day, and this remains an enigma that you have to solve through trial and error. 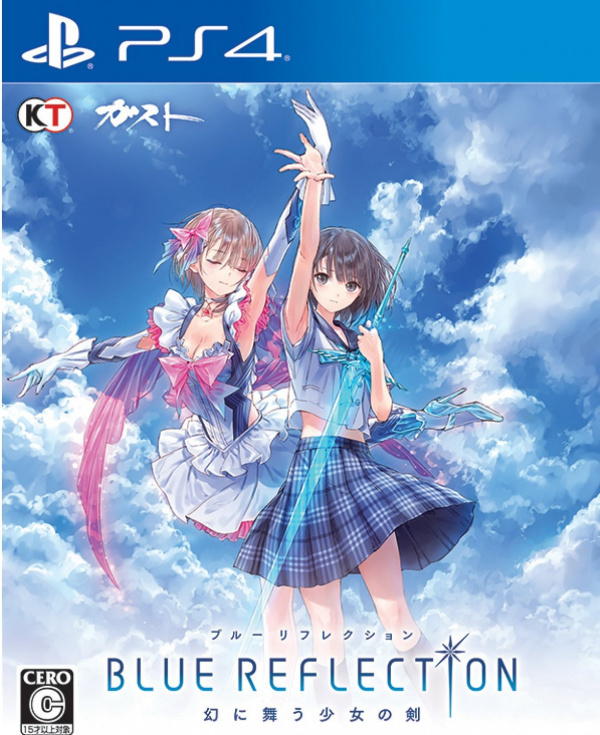 Even more disappointing is that the whole atmosphere of Blue Reflection is stale. At first, the muted tones of the game and the soothing soundtrack create a wonderful calm vibe, and it feels very relaxing and tranquil. Moving from zone to zone in The Common, where each area is attributed to a different emotion - happiness, fear, sorrow, and anger - it’s not unreasonable to expect that the ambience would change depending on where you are. It doesn’t, and this introduces another Blue Reflection’s biggest weak points: everything is the same, no matter where you are. The repetitiveness of the game quickly moves from being calming to boring, and you’re left hoping the title is going to give you something, anything else to sink your teeth into. Sadly, Blue Reflection proves to be a very formulaic game. The same glib story is trundled out for every new character; Hinako is introduced to a girl with a unique personality quirk, tries to help girl to overcome her issues but causes her to go rampant, then it’s off to The Common. There’s very little deviation from this method of introducing characters, and the only difference is which zone in The Common you have to venture to before you repeat the whole thing over again under the guise of helping another classmate. Even the non-storyline missions are repetitive and drab, with even less variation. Hinako’s classmates will update the mission log and give her tasks to complete. These tasks are almost always to defeat X number of enemies, or collect Y number of items. This monotony only adds to the increasingly stale feeling of the game. Various minigame-style additions pop up throughout, mostly featuring the use of Hinako's cellphone. There's a Tamagotchi-esque game, Dark Cave, where you have to raise a creature before sending them off into a cave to live, and Hide and Seek, where you follow clues to find plushies that a classmate has hidden around a school. Both feel equally pointless, and like they've been tacked on to the game to give it some sort of extra dynamic. These faults could almost be forgiven if Blue Reflection provided any challenge. Sadly, it's a frustratingly easy game that allows you breeze through battles without putting up a fight. Enemies are easily defeated, and once the team learn skills that attack multiple enemies at a time, they’re felled even quicker. The only time when there feels like any real threat is when the Sephirot descend on the school, but even battles aren’t really difficult, just time consuming due to high enemy health. The battle system feels like a wasted opportunity. It’s a really dynamic and effective system, but it feels completely wasted. A wait meter fills the top of the screen, signifying which character or enemy is up next. It’s possible to knock enemies back down the meter, delaying their turns and reaping the benefits by having your characters skip the queue. Racking up the ‘Reflect’ gauge gives the opportunity to spend the points on multiple turns in a row, so, again, battles are easily won. It’s slightly jarring at first that winning battles doesn’t net experience points, just items to collect. 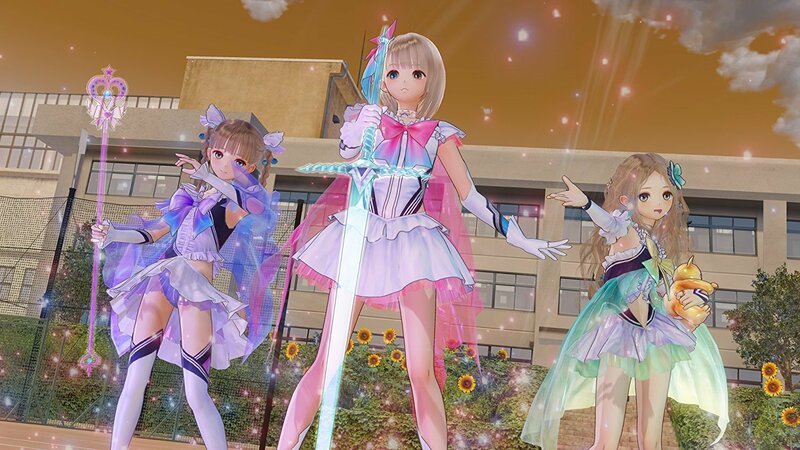 Levelling up in Blue Reflection occurs by completing side missions and reaching milestone points in the main story, and earning growth points to assign to the four attributes for each character; strength, defence, support and technic. The drop items collected by defeating enemies can be used in The Common to craft new items or enhance skills or the fragments Hinako collects which represent her classmates’ emotions. This wasn’t a skill that felt particularly useful; getting through the game is easy enough - is there really a need to enhance skills and make it even easier? 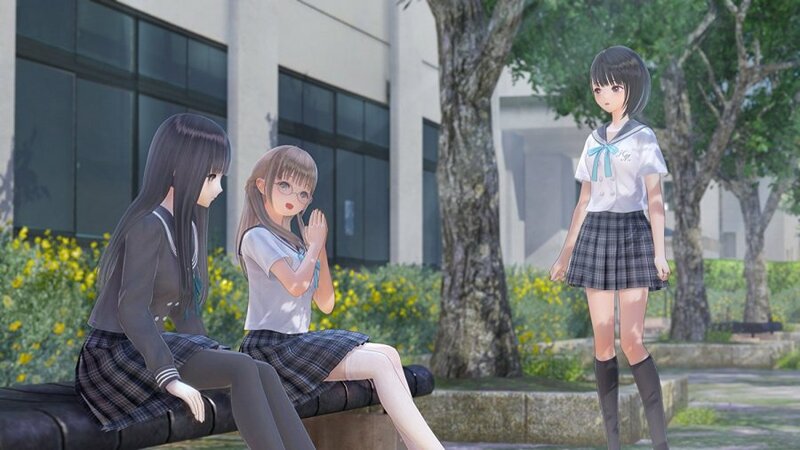 Blue Reflection has a lot of interesting ideas, from its plot to the core gameplay, so it’s unfortunate that these ideas are left to fester in a pool of mediocrity and drowned in an adventure that feels boring and stale before it’s even really begun. The opening scenes show a lot of promise, but none of it is built upon as the game develops. 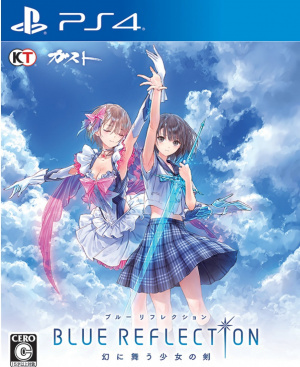 Blue Reflection feels like a tutorial for JRPG beginners - one that even the most inexperienced player would get bored with. A jrpg that looks great, but has stale boring gameplay in a genre that has been stagnant since Final Fantasy 4 ?! It reads like a review for a (bad) Persona game. "it’s slightly jarring at first that winning battles doesn’t net experience points, just items to collect. 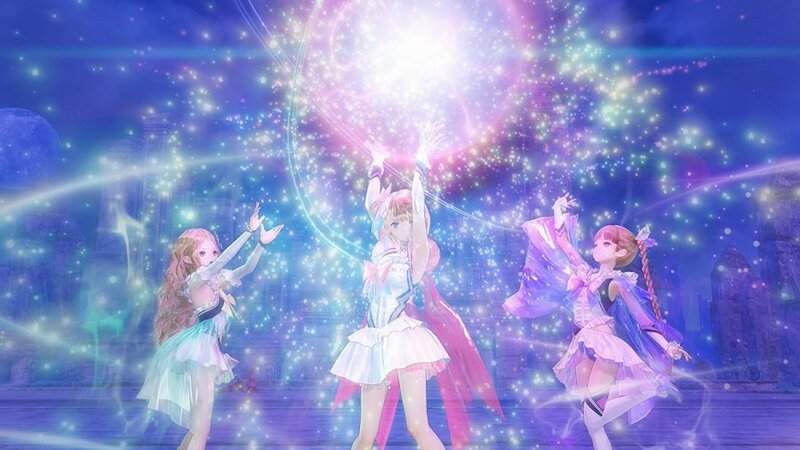 Levelling up in Blue Reflection occurs by completing side missions"
This is what tanks it for me. @finalstan to be honest, that's what it felt like playing it! @OutspokenHuman Yes they have, if you have a PS3 go check out Ar nosurge. It's got an engaging semi-realtime battle system, an amazing plot and characters. Same with the 3 Ar Tonelico games. GUST have always been known for telling moving stories with amazing soundtracks, none of their games are super challenging, but if you think that makes them bad games, your loss. I....I'm still going to buy this i think. All this has done is delay the inevitable (bargain bin). @sonicmeerkat battles that don't give experience points? Final Fantasy 13 did the same thing. To me, that's not only a deal breaker but a nightmare revisited. Brrrr. I think revisiting FF 13 is a nightmare for many people.